For whites: for optimal results on whites follow the above instructions and add Ecover Bleach. Place the bleach into the machine's dispenser tray. Ecover Non-bio Laundry Liquid is also great for hand washing. Just dissolve 1½ capfuls (45 ml) in 5 litres of warm water. Wash and rinse your clothes as normal. The Ecover Non-Bio Laundry Liquid - 1.5L - 17 Washes product ethics are indicated below. To learn more about these product ethics and to see related products, follow the links below. Great for using on my boat as I'm not contaminating the environment. Gets clothes clean too! It leaves the clothes feeling soft, and it doesn't have a smell. We like to use this alongside fabric softener, which leaves a scented smell. Q: how many washes will this product do? A: 1.5 Litres of this Ecover Non Bio Laundry Liquid will be sufficient for about 17 washes. 6 out of 7 found this question and answer helpful. 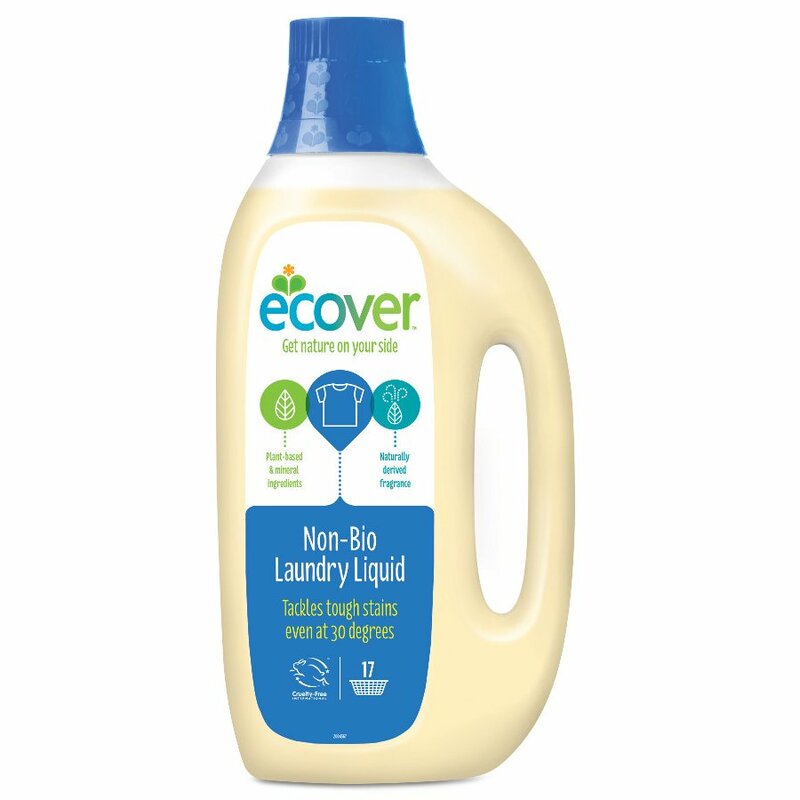 Q: is ecover non bio laundry liquid a detergent? A: Hi, Ecover non-bio laundry liquid is not a detergent. It does not kill the bacteria, rather, it removes all that the bacteria can thrive on. I hope this helps. Robyn. Ecover is the world’s largest producer of ecological detergents and eco-friendly cleaning and laundry products. Launched in Belgium in 1980, Ecover's progressive environmental policies place it at the forefront of developing environmentally friendly cleaning products like washing up liquids, household cleaners, laundry and personal care products. In 1992, Ecover opened the world’s first ecological factory, which provoked much media interest and still attracts many visitors today. If you share Ecover’s commitment to the planet and care for the environment, then Ecover's range of green cleaning products is the right choice for you.